A short time ago in a data centre, far far away…..
All the big players are setting out their cloud pitches, Microsoft are set to make some big announcements at their Professional Developer Conference at the end of October and VMWare made their VDC-OS announcements at VMWorld a couple of weeks ago, Google have had their App Engine in beta for a while and Amazon AWS is pretty well established. 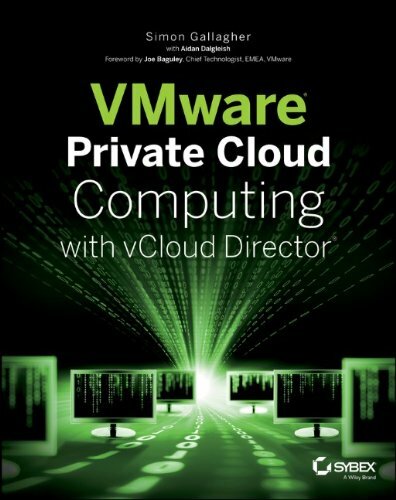 With this post I hope to give a quick overview of each, I’ll freely admit I’m more knowledgeable on the VMWare/Microsoft offerings… and I stand to be corrected on any assumptions I’ve made on Google/AWS based on my web reading. So, What’s the difference between them…? VMWare come from the infrastructure space, to-date they have dominated the x86 virtualization market, they have some key strategic partnerships with storage and network vendors to deliver integrated solutions. There is no one size fits all product in this space so a bespoke solution based around a standard framework tool like Tivoli, SMS, etc. is typically required depending on organisational/service requirements. No re-development is necessarily required to move your applications into a vCloud (hosted or internal) you just move your VMWare virtual machines to a different underlying VDC-OS infrastructure, or you use P2V, X2V tools like Platespin to migrate to a VDC-OS infrastructure. In terms of limitations – apps can’t necessarily scale horizontally (yet) as they are constrained by their traditional server based roots. The ability to add a 2nd node doesn’t necessarily make your app scale – there are all kinds of issues around state, concurrency etc. that the application framework needs to manage. VMWare are building frameworks to build scale-out provisioning tools – but this would only work for certain types of applications and is currently reactive unless you build some intelligence into the provisioning system. Disadvantage is it’s a complete redevelopment of you applications into Google compatible code, services & frameworks. You are tied into Google services – you can’t (as I understand it) take your developed applications elsewhere without significant re-development/porting. An interesting offering, they will technically have the ability to host .net applications from a shared hosting service, as well as integrating future versions of their traditional and well established office/productivity applications into their cloud platform; almost offering the subscription based/Software+Services model they’ve been mooting for a long time. Given Microsoft’s market current dominance, they are very well positioned to make this successful as large shops will be able to modify existing internal .net services and applications to leverage portions of their cloud offering. With the future developments of Hyper-V Microsoft will be well positioned to offer an infrastructure driven equivalent of VMWare’s VDC-OS proposition to service and support migration from existing dedicated Windows and Linux servers to an internal or externally hosted cloud type platform. the AWS platform provides a range of the same sort of functionality as Google AppEngine with SimpleDB, SQS and S3 but with the recently announced ability to run Windows within their EC2 cloud makes for an interesting offering with the existing ability to pick & choose from Linux based virtual machine instances. I believe EC2 makes heavy use of Xen under the hood; which I assume is how they are going to be delivering the Windows based services, EC2 also allows you to choose from a number of standard Linux virtual machine offerings (Amazon Machine Image, AMI). This is an interesting offering, allowing you to develop your applications into their framework and possibly port or build your Linux/Windows application services into their managed EC2 service. Same caveat applies though, your apps and virtual machines could be tied to the AWS framework – so you loose your portability without significant re-engineering. on the flip-side they do seem to have the best defined commercial and support models and have been well established for a while with the S3 service. Microsoft & VMWare are best positioned to pick up businesses from the corporate’s who will likely have a large existing investment in code and infrastructure but are looking to take advantage of reduced cost and complexity by hosting portions of their app/infrastructure with a service-provider. Microsoft & VMWare offerings easily lend themselves to this internal/external cloud architecture as you can build your own internal cloud using their off-the-shelf technology, something that isn’t possible with AWS or Google. This is likely to be the preferred model for most large businesses who need to retain ownership of data and certain systems for legal/compliance reasons. leveraging virtualization and commercial X2V or X2X conversion tools will make transition between internal and external clouds simple and quick – which gives organisations a lot of flexibility to operate their systems in the most cost/load-effective manner as well as retain detailed control of the application/server infrastructure but freed up from the day-day hardware/capacity management roles. AWS/Google are ideal for Web 2.0 ,start-ups and the SME sector where there is typically no existing or large code-base investment that would need to be leveraged. For a greenfield implementation these services offer low start-up cost and simple development tools to build applications that would be complicated & expensive to build if you had to worry about and develop supporting infrastructure without significant up-front capital backing. AWS/Google are also great for people wanting to build applications that need to scale to lots of users, but without a deep understanding of the required underlying infrastructure, whilst this is appealing to corporate’s I think the cost of porting and data ownership/risk issues will be a blocker for a significant amount of time. Google Apps are a good entry point for the SME/start-up sector and startups, and could well draw people into building AppEngine services as the business grows in size and complexity, so we may see a drift towards this over time. Microsoft have a competing model and could leverage their established brand to win over customers if they can make the entry point free/cheap and cross-platform compatible, lots of those SME/start-ups are using Mac’s or Netbooks for example.